If these last few weeks are any indication of what’s to come, we are going to have a very wet fall and winter. Are you ready? More importantly, is your home ready? From time to time, we will address Fall Maintenance Tips to ready your Home for Winter. This week we are going to take a closer look at Sump Pumps. It is very important to make sure there is power to your sump pumps and that all exterior drains are free of leaves and other debris, which could potentially clog the drains and keep the sump pump from doing its job. It is also important to ensure your sump pump meets new standards. The new code requires that even sump pumps need to be on GFI circuits, unlike years past. However, GFI outlets tend to trip much more easily than standard non-GFIi outlets. To help offset this potential problem TriStar can install new style GFI outlets with built-in alarms that beep when they are tripped, notifying you of the issue before you end up with a flooded basement. These GFI outlets can be installed to replace any standard non-sounding GFI outlet in kitchens, bathrooms and garages, as well. You can’t expect to catch everything. This is why you need to enlist the help of a professional electrician, like the ones found at TriStar Electric, Maryland’s premier electrician. One of the best ways to ensure your home is always in tip-top shape is to get a Residential Electrical Maintenance Contract with TriStar Electric. Our contract is one of the best available, ensuring your electrical system is safe and in top working order. Keeping a system maintained reduces unnecessary wear and tear on equipment, reduce mechanical breakdowns, and cuts down on electricity bills. When you contact TriStar, we will send an electrician to your home to examine your electrical system and equipment. Based off of this inspection, the electrician will recommend a maintenance contract that is affordable and effective. We offer a variety of residential electrical maintenance contracts, designed to offer the highest quality maintenance at affordable prices. 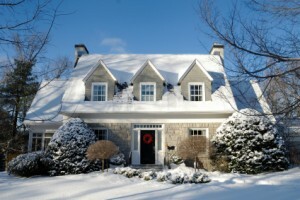 If you have any questions regarding our Residential Electrical Maintenance Contract or Fall Maintenance Tips to ready your Home for Winter, please contact TriStar Electric, Maryland’s premier residential and commercial electrician, by calling 410-799-5791 or 301-384-8880 or fill out the contact form on our website. You can also follow TriStar Electric on Facebook, Twitter, Google+, LinkedIn, Pinterest, and YouTube. This entry was posted on Wednesday, October 16th, 2013 at 7:33 pm. Both comments and pings are currently closed.